During April/May, essential pesticide spraying takes place in Richmond Park and Bushy Park against the invasive insect pest Oak Processionary Moth. During the spraying operation areas of the park may be temporarily closed to the public or marshals will be in place to direct people away from the vicinity. Please follow any instructions on signage or given by the marshals, to ensure a safe and enjoyable visit. Please continue to monitor this page for dates of these closures, which will be posted as soon as known. Bushy Park - The Waterhouse Woodland Garden in Bushy Park will be closed for one day on Tuesday the 23rd April. This does not include The Pheasantry Woodland Garden, which will remain open. 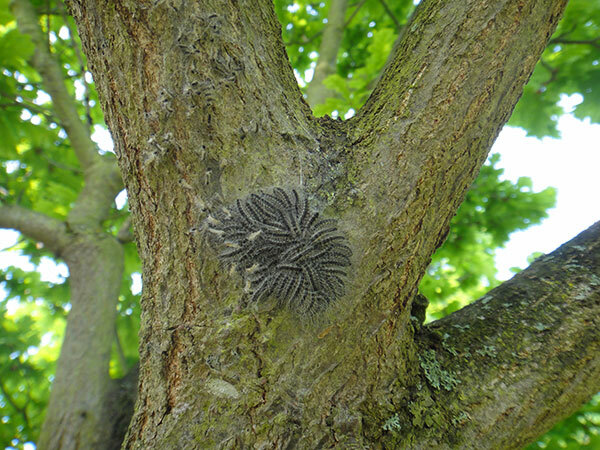 Summer, is the time of year when the caterpillars of this invasive Moth are on the move and may be found low on the trunk and branches of oak trees, where they may also form webbed nests. The hairs of the caterpillars carry a toxin which can be a threat to human and animal health, causing skin rashes, eye irritation and respiratory problems. In high numbers the caterpillars can also cause defoliation of oak trees. During this time the park is surveyed for nests which will then be removed by specialist operatives using protective clothing and equipment. Although every effort is made to control the moth, the toxic hairs may still be present. If you come across the caterpillars or their webbed nests please do not touch them and keep children and pets away. Report any sightings to the Richmond Park office on 0300 061 2200 or Bushy Park office on 0300 061 2250. 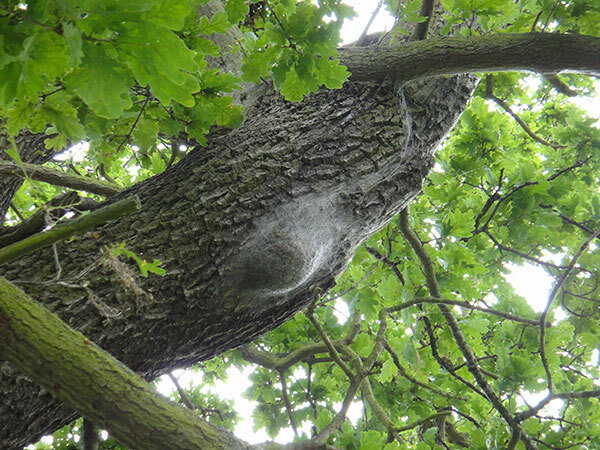 Find further information on Oak Processionary Moth on the Forest Research website.